Designed, manufactured, and tested in the USA - Ikon Lenses are second to none when it comes to performance and fitment for your original Arnette Munson frames. Our replacement lenses are made from the same injected molded polycarbonate as your factory ones plus we incorporate the newest polarization and anti glare features to protect your eyes and reduce eyestrain. - Infused polarized film technology eliminating the need for glues. - Exceeds ANSI Z80.3, EN ISO 12312-1:2013, and AS/NZS 1067:2003(A1:2009) Standards. - Exceeds ANSI Z87.1 High Velocity & High Impact Standards. - AR Coated (anti-reflective) crucial for glare reduction. - Hydrophobic & Hard Coated for smudge and scratch protection. - Taper corrected to eliminate peripheral distortion. Disclaimer: Ikon Lenses and the Ikon Lenses Logo are trademarks of Ikon Optics LLC. Any usage of the Arnette trademarks is only to describe those products. Arnette, Inc. is not associated with Ikon Optics and does not endorse, sponsor, support, or associate with Ikon Optics LLC products. 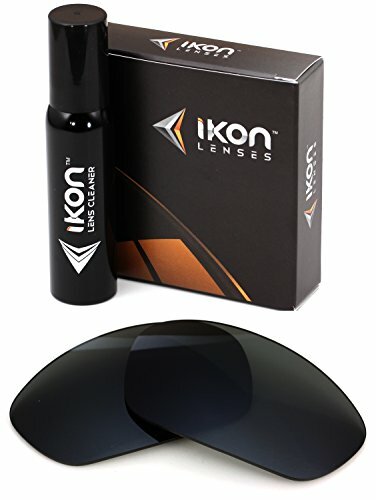 If you have any questions about this product by Ikon Lenses, contact us by completing and submitting the form below. If you are looking for a specif part number, please include it with your message.